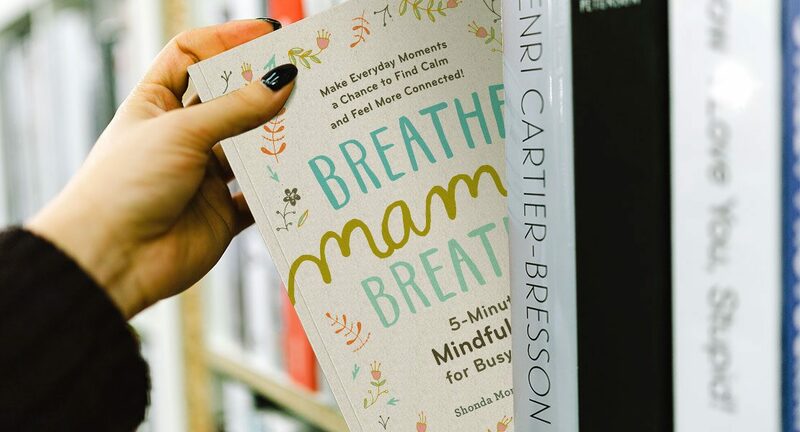 With my book Breathe, Mama, Breathe, I set out to help busy moms slow down, feel more joy, and cope with difficulties that I was struggling with—the wonder, trials, love, and exhaustion of parenting—by sharing the practice of mindfulness. All it takes is five minutes a day. Mindfulness meditation builds increased awareness, calm, and an overall sense of well-being. For me, it’s the difference between having day that is frantic versus peaceful and energized. All it takes is five minutes. 1. Find a chair in which your feet comfortably touch the ground. Sit up tall, straighten your spine, relax your shoulders, and allow your eyes to close. 2. Pause and become aware of sensations in your body with a sense of curiosity and acceptance. 3. Now relax your belly, noticing it rise and fall as the breath naturally comes and goes. When your mind wanders (which happens to everyone), notice where your mind was (planning, remembering, judging) and simply return your attention—with kindness for yourself—to the breath and begin again. If you need to bring your attention back fifty times, that is perfectly fine. Let go of expectations and simply observe what arises. 4. Congratulate yourself on being more mindful and kind to you.